It has been 3 years since Eddy Curry played more than 10 minutes in a meaningful game. The previous time was Miami Heat's season finale which had no impact on playoff seeding and ended up in a 34-point loss. The stage was finally set for Curry to get playing time against one of the top front lines in the league, and he played 17 meaningful minutes in an opening day victory against the highly-hyped, new-look Lakers. He looked energized, and for the first time in years, he was enjoying playing basketball in the NBA again. Dallas Mavericks are clearly in a time of transition with 9 new players to their roster. With injuries to Dirk Nowitzki and veteran center Chris Kaman, Dallas was forced to bring in more front court depth. 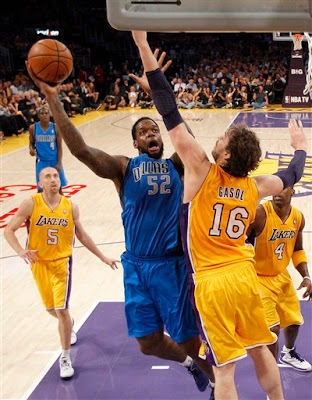 Who knew Mark Cuban would take a chance on Eddy Curry, who was just released by the San Antonio Spurs. Last night Eddy Curry showed up and reminded the national audience of a time when he was the 4th pick in the 2001 draft full of promise and potential. 7 points and 4 rebounds in 17 minutes might not seem like much, but Curry was one of the most physical players on the court while going against Dwight Howard and Pau Gasol. 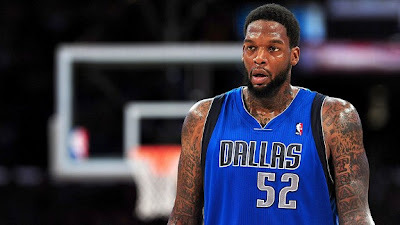 A year and a half ago I wrote a story about the fall of Eddy Curry. I was hopeful that one day he would finally get his life together and find success. Curry has taken the first step, and although Dallas Mavericks could release him shortly after Kaman and Nowitzki return, I think it’s safe to say that everyone watching last night’s game took notice. 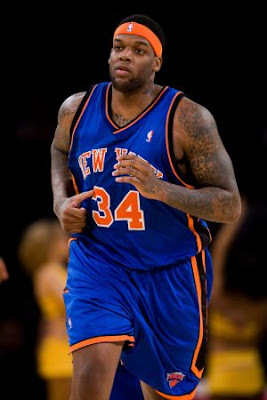 It’s been 11 years since Eddy Curry was drafted by the Chicago Bulls, but sometimes we forget that Curry is still only 29 with very little mileage on that oversized body. Look how far he's come. In the end, Eddy Curry passed the eye test -- he looked strong and agile for the first time in 5 years. Of course I am the first to admit that Eddy has a long way to go, but I will end with the words of Mark Cuban, "The Curri-nator!" Maybe, just maybe, the Curri-nator is finally back.